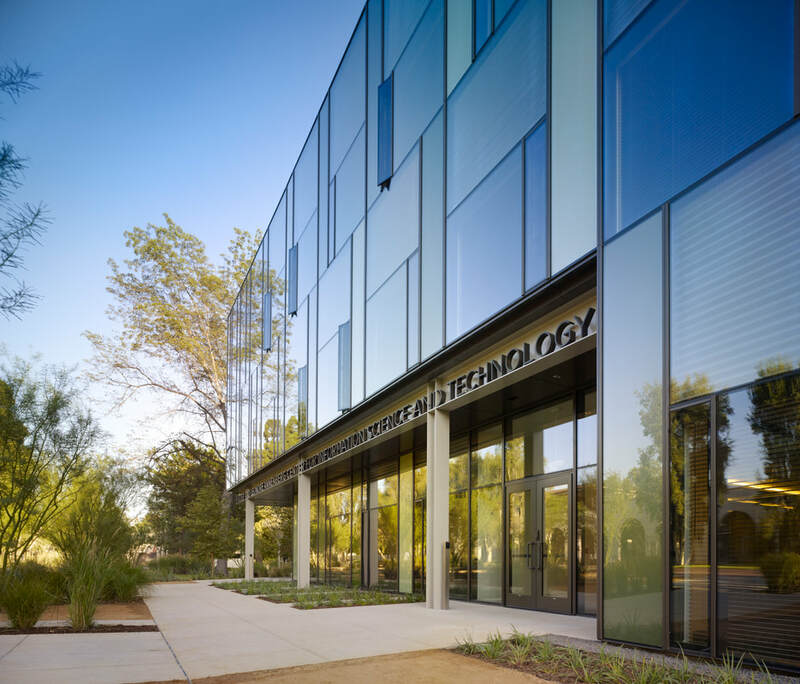 AWS designed, engineered, fabricated, assembled and glazed the unitized cutrainwall system and the rain screen metal wall panels for this LEED certified university project. 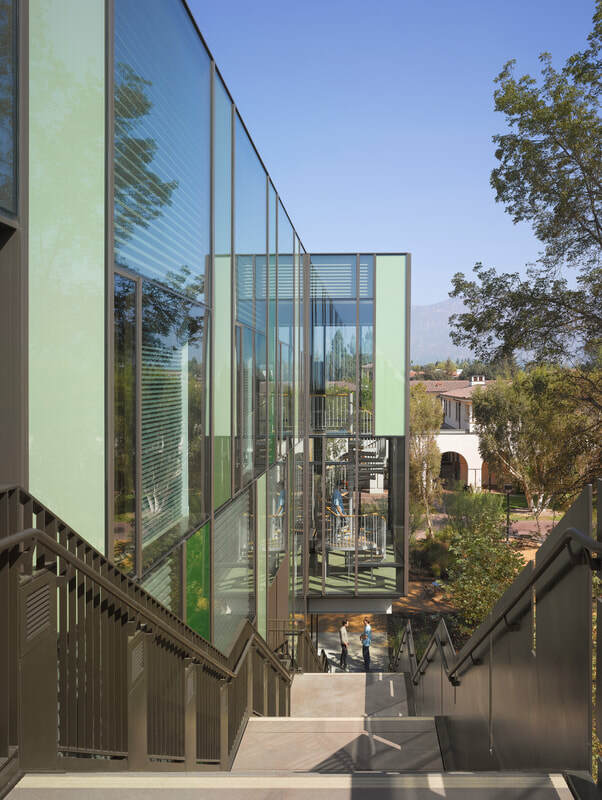 The building features a unique blend of green glass and two different types of spandrel glass. The first spandrel glass type has a horizontal profiled aluminum plate shadow box between the glass unit and insulation; and the other has full frit coverage with a range of three different shades of green. ​Contractor Hathaway Dinwiddie Construction Co.